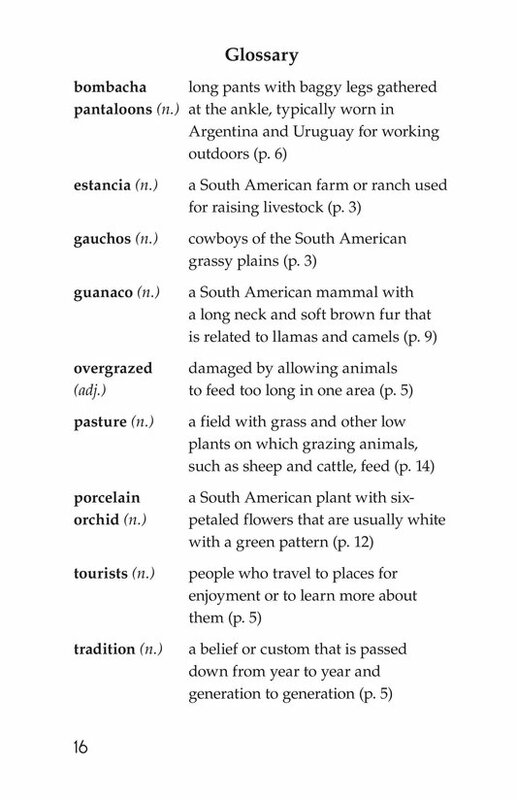 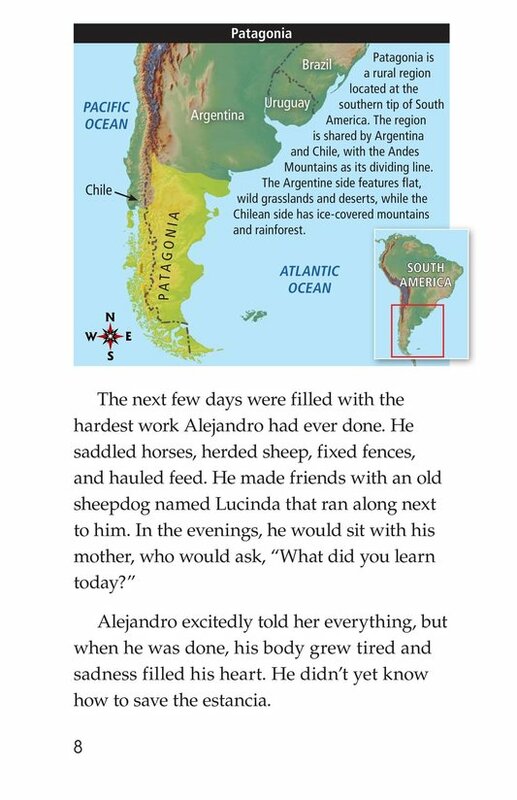 Alejandro and his mother live on a Patagonian ranch, called an estancia, where they maintain their land in the true gaucho tradition. 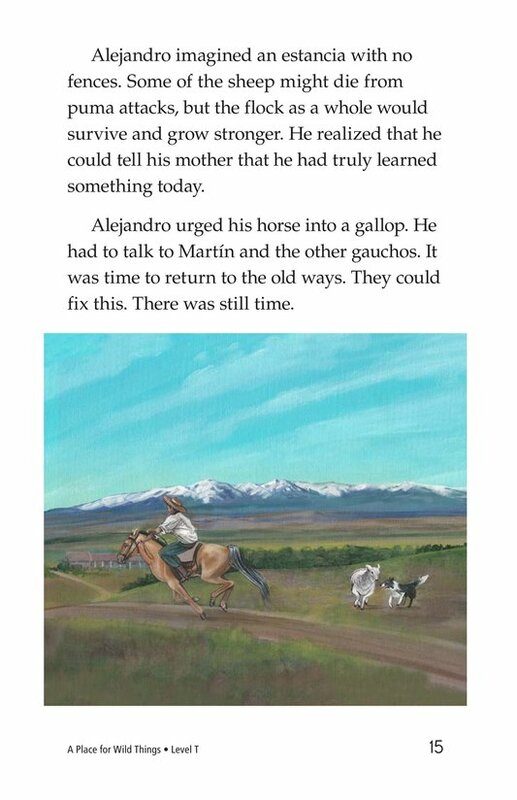 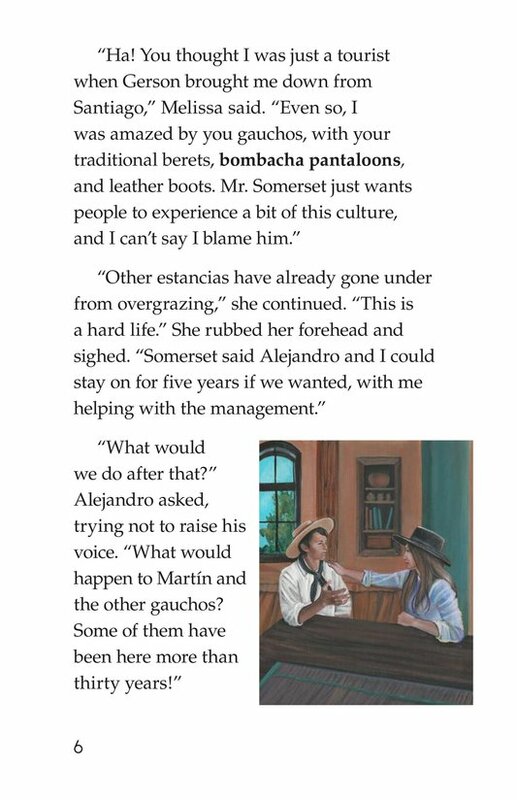 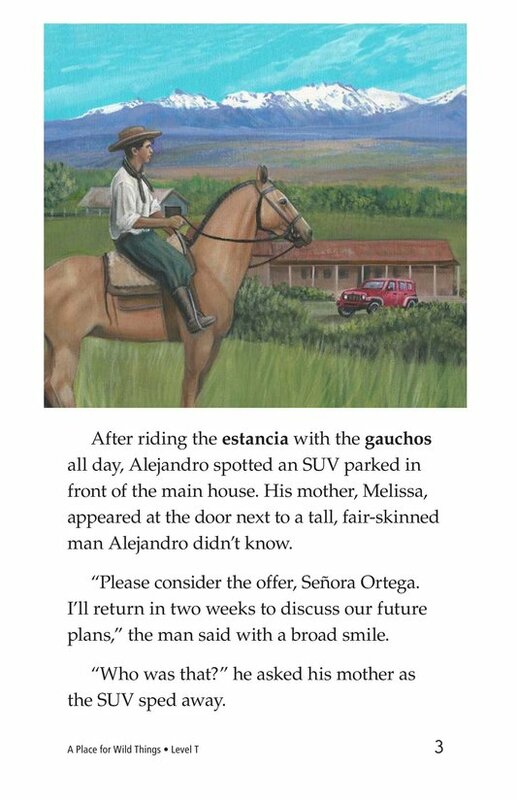 But when tough times fall on the estancia, the family must decide whether they are going to keep or sell their beloved ranch. 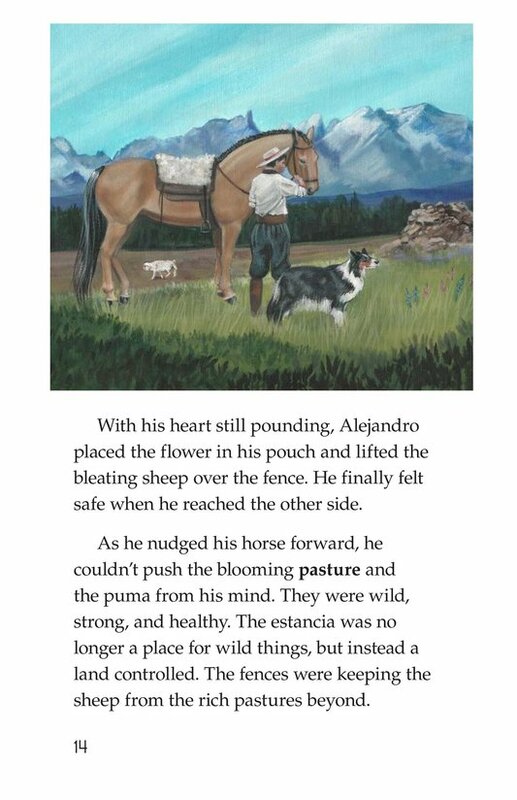 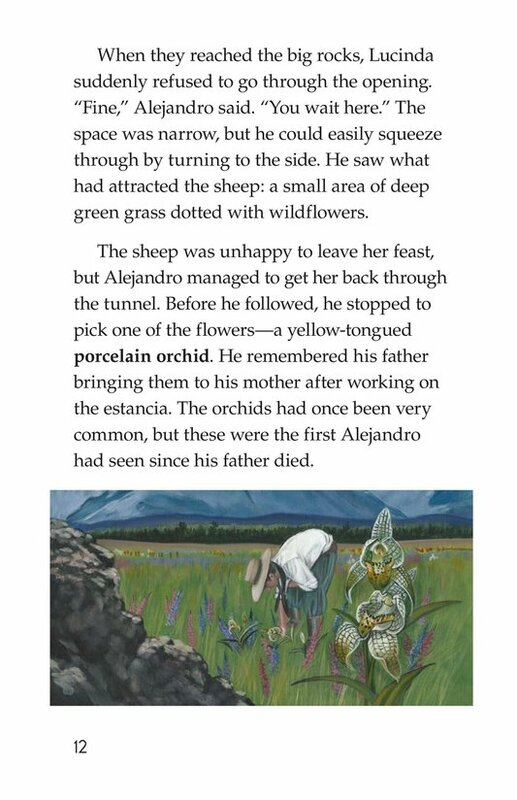 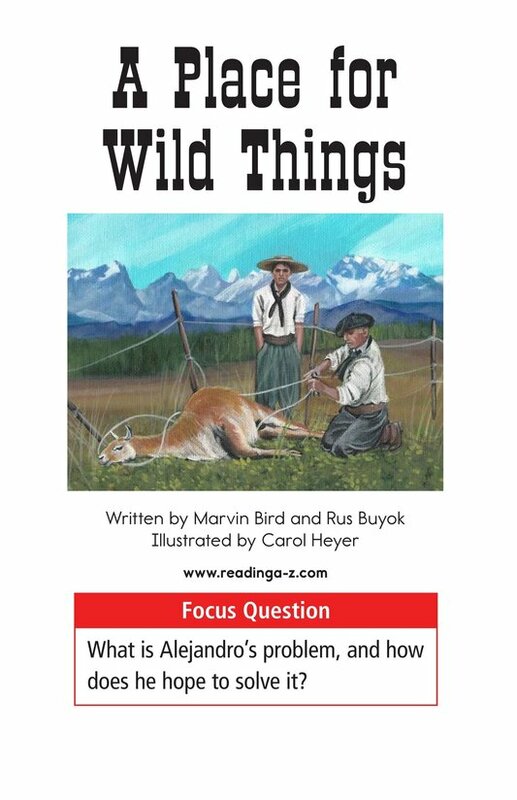 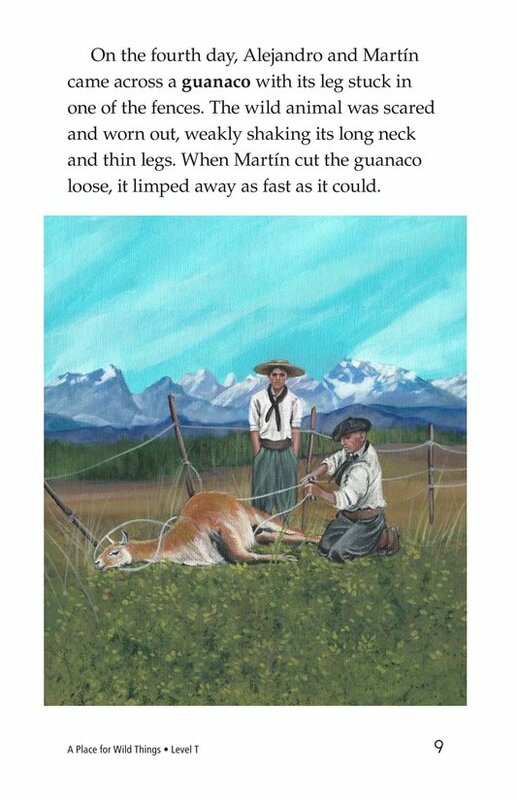 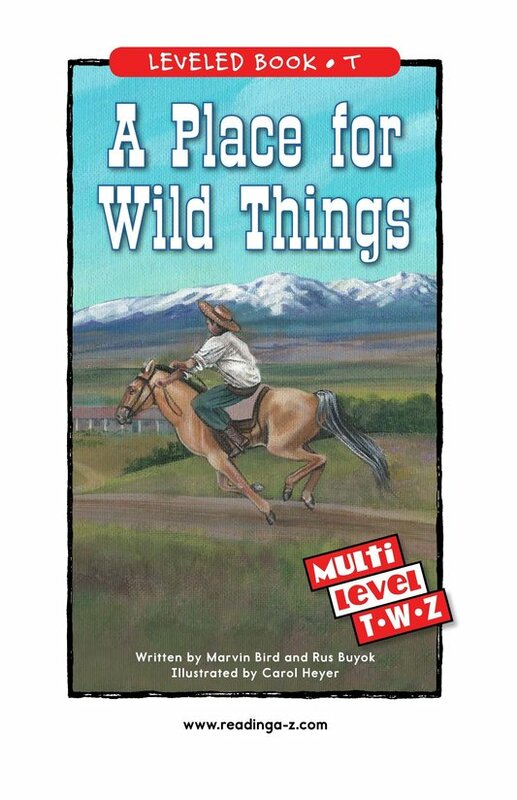 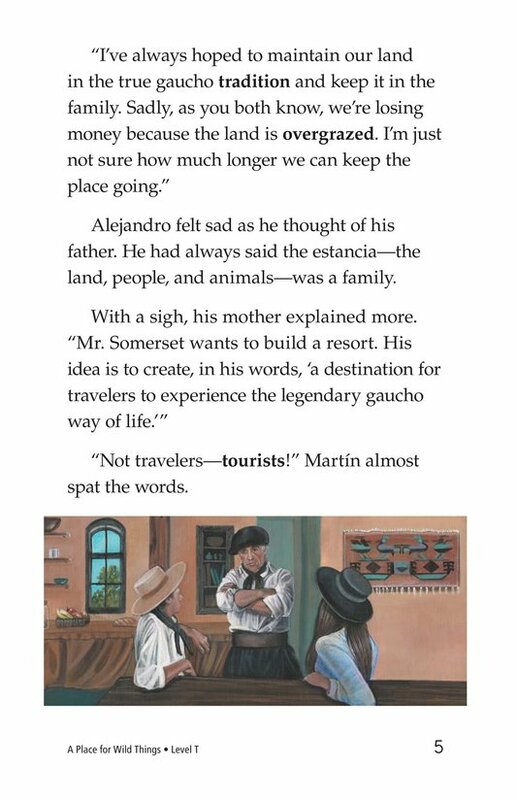 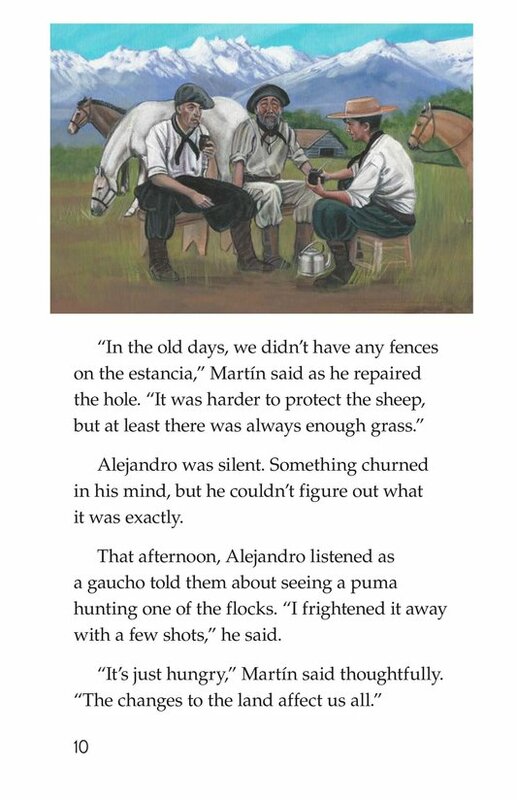 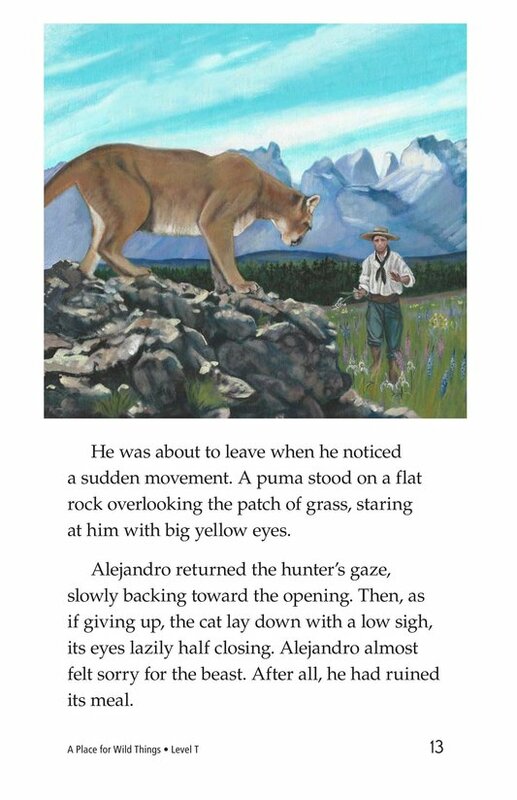 A Place for Wild Things is an engaging story that will open students' eyes to the culture and tradition of the Patagonia region of South America. 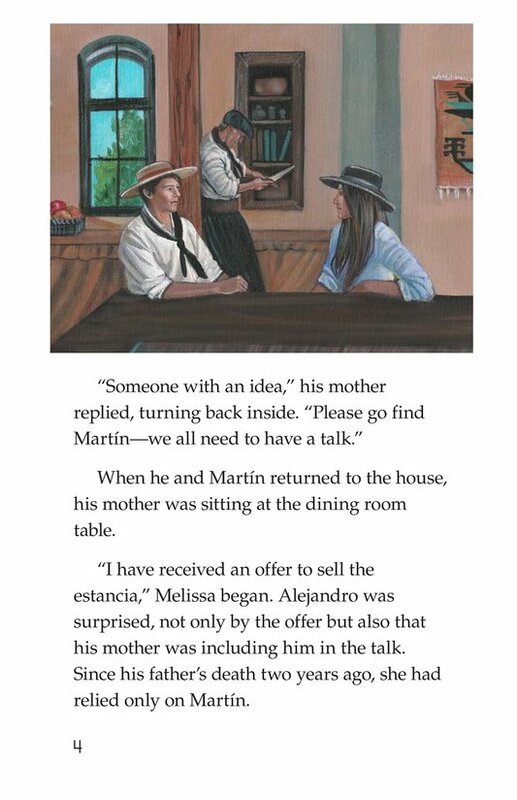 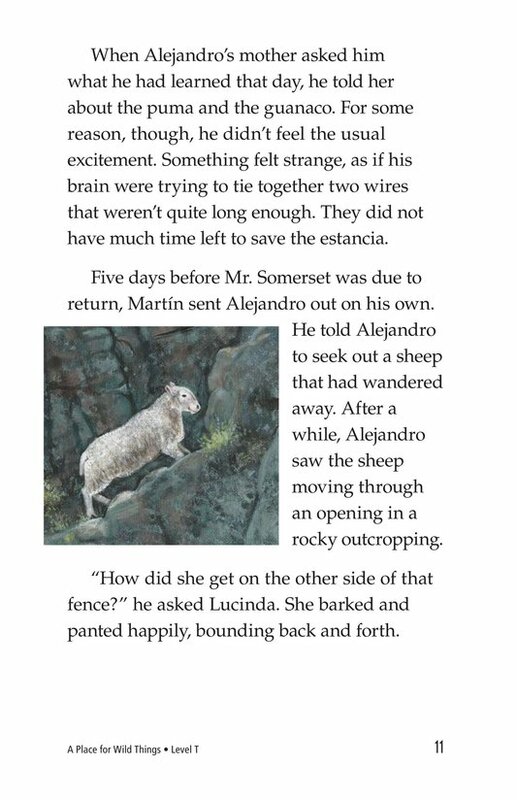 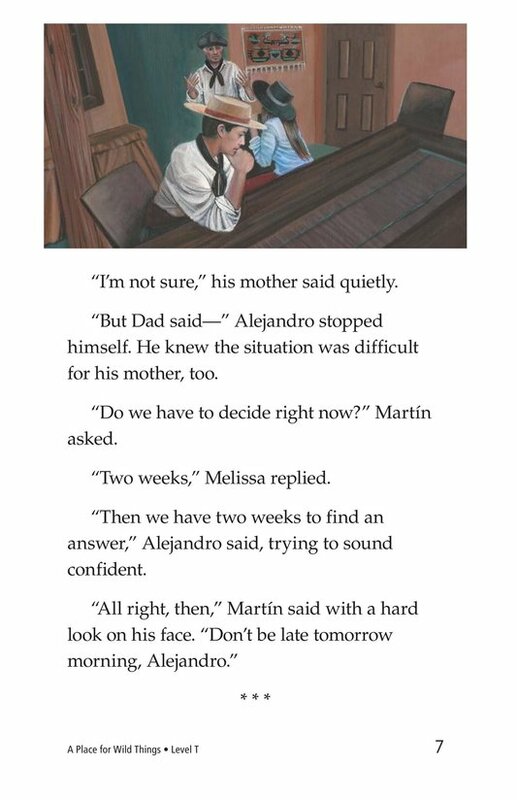 Students can also use this story to analyze the plot as well as to make, revise, and confirm predictions to better understand the text. 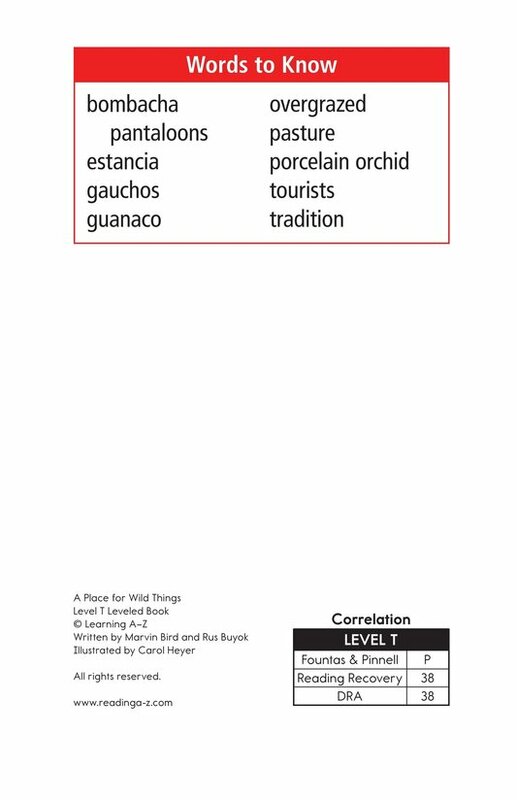 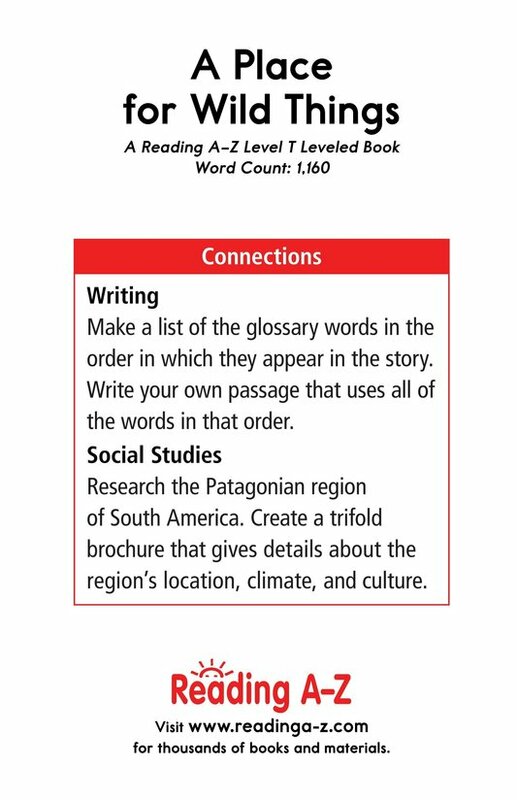 The book and lesson are also available for levels W and Z.